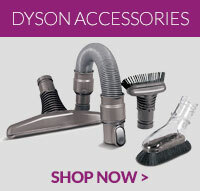 Replacement Dyson compatible washable filter for DC05, DC08, DC14 & DC15 vacuum cleaners. Ideal ..
High quality compatible replacement motor carbon brushes and holders for select Dyson vacuum cleaner.. Replacement post motor filter pad compatible with Selected Dyson model vacuum cleaners. Suitable .. This is a genuine dyson replacement on/off switch. ..
Genuine Dyson contact head floor tool in steel and yellow for DC08 vacuum cleaner models. Suitabl..
Genuine Hepa post motor filter for select Dyson vacuum cleaners. Changing your Dyson vacuum cleaner ..
Genuine Dyson turbine tool and adaptor. This turbine floor tool has a rotating brush bar which .. This is a genuine Dyson replacement post motor filter pad for your vacuum cleaner. .. This is a genuine Dyson replacement universal fit adaptor for your vacuum cleaner. The universal fit.. This is a genuine Dyson lifetime filter for your vacuum cleaner.The filter captures particles down t..
Dyson cleaning car kit includes Upholstery tool Pet hair tool Crevice tool Stubborn..
Dyson turbine floor tool for Dyson DC08 vacuum cleaners. ..